Showing 26 – 42 of 42 4K Opinions & Interviews | Home | 4KHub. Big Leap Online Marketing Specialist, Matt Casady, shares his top 5 content creation tools that you need in your toolbelt. Familiarize yourself with them now and start putting them to use tomorrow! Matt Casady is an Online Marketing Specialist at Big Leap, he has a background in advertising and specializes in local search and content marketing. A When I'm looking to make my content piece more interactive, by adding a list or poll, etc., I like to use a tool called Boombox. Boombox is a self-described "creative suite for publishers" and I think that's a pretty appropriate description. Visit, www.boombox.com to learn more. DP, Cliff Charles selected six VariCam 35 4K camera/recorders for the live shoot of Amy Schumer' s HBO comedy special, which begins airing on October 17, at the Apollo Theater in New York. He discusses why he chose the VariCam 35 and what he thinks the future of 4K looks like. Q Why did you decide to go with the VariCam 35 4K cameras/recorders for Amy's comedy special? Mark Sasicki is a TV buyer for Abt Electronics and Appliances, the largest single-store retailer of electronics and appliances in the country and its national ecommerce site. He quickly chats about his thoughts on 4K. Q What do you think about 4K production? A ​ 4K/UHD TVs offer the best picture available whether you are watching a 4K source or regular HD. D.M. Rosemark shares his thoughts on 4K in our exclusive interview: "I am am filmmaker, film-theorist and multiple Jerome Grantee; I have actually gone back to 35mm and 16mm film-making because of some tangentially related issues on this topic." A The first thing you have to understand with this HD/2K/4K/6K/8K race is that it is analogous to the "Mega-Pixel War" in still digital-photography. In the 2000's every camera release was heralded by another jump in mega pixels.. First it was 10, 15, then 25 megapixels... so on and so forth. 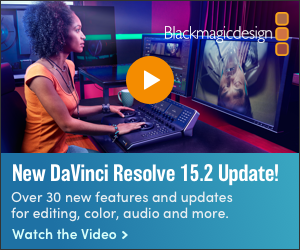 This is in large part a marketing tactic by the camera industry, because resolution is a very easy thing for consumers to understand technically speaking. It is also a relatively easy engineering issue for camera makers to focus on, much easier than things like bit-rates and chrominance sub-sampling. But eventually consumers had enough with the nonsense (I think it was around the same time Nokia came out with a 41mp cell phone) and now still cameras are going through a transitional phase with things like mirror-less shutters and photo/video hybrids. So in short there is a lot of hype around the issue, manufactured by the industry and driven by the consumer. Joel Holland, founder and CEO of VideoBlocks (pictured here) tells us about 4K stock footage, trends and the consumption of 4K in the industry. Q What difference have you seen 4K make in the stock footage world and with your company, VideoBlocks? A VideoBlocks started providing our customers with access to 4K content over four years ago, and we are finally starting to see the rest of the competition catch up to provide some great content. Everything we shoot for VideoBlocks is done in 4K. But the reality is that there is still not a huge demand for 4K content, because virtually all current productions are being released in HD. We are starting to see an uptick in 4K downloads, but it is still a small part of our download volume compared to HD. It's always great catching up with Andy Goetze of Pond5. He shares his insight on 4K trends and more. Q What products do you carry that are 4K or serve 4K workflow? A Pond5 continues to be disruptive in the royalty-free stock footage industry for sellers and buyers and was recently named to be the "shooting star" in this business by a famous european publication. As a true worldwide marketplace for digital content we are also a premier destination for audio clips and offer on top millions of images, illustrations, After-Effect project templates and 3D-models. We constantly innovate and revolutionize our industry, recently with launching our groundbreaking plugin for Adobe Premiere Pro CS6 and CC editing environments, allowing digital content creators to seamlessly make high-quality stock media content an integral part of their overall workflow. Pond5 is leading the way for digital content creators who always receive a 50% commission and have the freedom to set the price for their work themselves. This was the reason that Pond5´s library grew so fast in the past and continues to grow so quickly, becoming the largest royalty-free stock footage provider on the internet with currently 2.5 million video clips. We launched our new special pool of 4k+ UltraHD stock footage and also Redcode RAW (R3D) videos clips - the native format for the popular RED series of ultra-HD cameras - in late 2013. With 36,000 clips in 4k/4+ and in addition 6,000 R3D clips at the time of writing it has become the largest video collection of this kind in the world. Arclight Productions have been shooting and finishing films—all in house—in 4K since 2009. They share their experience shooting their newest 4K documentary 'COUNTRY: Portraits of an American Sound' with us. Q Why did you chose to shoot in 4K and what difference has it made? A Since 2009, we have been commissioned by the Annenberg Space for Photography in Los Angeles to produce documentaries to complement its ongoing photographic exhibitions. The Photography Space uses 4K HFR (high frame rate) projection technology for playback on two 7' x14' screens; therefore, 4K production has always been a necessity. Because the films focus on photography, image quality is critical to the storytelling, and our live action scenes need to be as sharp and compelling as the still photos, whose native resolution far exceed 4K. Learn from Tony Trent, what products Atomos carries that are 4K or serve 4K, and why they are a necessity for production pros. Q Everything is 4K-focused right now. What’s really going on now from your perspective with all the latest tech and its adoption? A 4K is certainly grabbing the headlines at the moment, but in terms of adoption 4K is not yet ready for mass consumption. There are the high end production houses who have the need for 4K and then a steadily growing early adopter group who either love the idea of experimenting with the higher resolution or those who want to future proof themselves for the coming years while they are upgrading now. 4K has been hyped as the next big thing in video, but unless you are an A/V geek, it is all too easy to get confused about what it means. Yoel Zanger, CEO and Founder of Giraffic gives you the insight you need to understand 4K. Q Where are viewers or consumers of media most enjoying the 4K experience? A The 4K TV sets are the only screens available today for consumers to watch 4K. These 4K TVs are still scarce but prices of these TVs are continuously dropping and adoption is growing. Catch up on the latest 4K technology, trends and thoughts from John Mardinly, Senior Product Manager at StarTech.com. Q Where is 4K most implemented — and what will take hold next year or after? A 4K is currently widely used for video/media production. Over the next year or two we should begin to see 4K video content more publicly available through television broadcasts and home video i.e Blu-ray discs. With most video production being done in 4K, it’s the distribution and delivery that will need to be upgraded. On the consumer side, people have not yet upgraded to 4K televisions as many have recently purchased 1080p televisions or not willing to invest in 4K yet. However, 4K TV prices are dropping rapidly and adoption should start to kick in over the next year. 4K is coming and it’s coming fast! Learn what Gary Adcock thinks is going on now from his perspective with all the latest tech and its adoption. A In my world, I have been delivering 4K content for Convention Displays and other uses for over 4 years. I think people have been too focused on 4K broadcast, I personally don’t see that streaming live for a few years, even the 4K version of House of Cards on Netflix has only seen a few thousand downloads. I am one of those that thinks I will see 4K movie downloads long before I see a 4K version of the local news. Yet that poses a different issue, if a current HD movie download is about 5GB, what does that mean for the internet providers when we start DL’ing 20-30GB files for a 3 hour feature? Catch up with Andy Liebman, EditShare's CEO (photoed here) as he tell us his thoughts on 4K and beyond. Q Any other EditShare products that work with 4K? A Our media asset management solution, EditShare Flow, will support 4K in the near future. 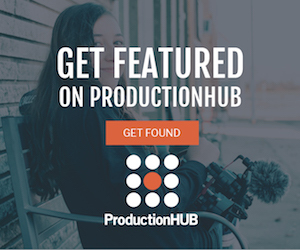 This will let you make proxy files of your 4K footage, and track 4K assets throughout the production process. 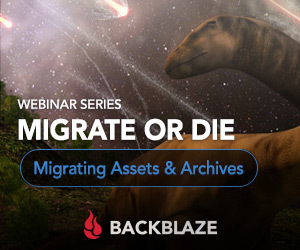 Our integrated archiving solution, EditShare Ark, is already 4K compatible, and can back up and restore your 4K footage to/from LTO tape or disk. In the near future, once Flow is 4K aware, you’ll also be able to preview and bring specific individual 4K files back from the archive from Flow. Kurt Michel, Director, Product Marketing, Media Delivery Solutions for Akamai Technologies (pictured here) shares his insight on 4K adoption, along with it's future & quality. Q How are you preparing for the adoption of 4K? A Akamai is preparing for the increase in viewer quality expectations that 4K will bring, which, in our case, means greater capacity and scalability of our network, storage and workflow solutions. Of course, increasing our capacity and scalability to stay ahead of demand is something we have been doing since 1998; 4K just happens to be the latest quality level that is pushing the need for more bits – faster. We’re not just getting ready for 4K, but other things that might come next, such as higher frame rates and high dynamic range (HDR) technologies, which again will drive network capacity and scale requirements. Also, Akamai has begun to track 4K readiness through our quarterly State of the Internet Report. The new metric aims to identify what geographies are most likely to be able to sustain 15 Mbps streams, which we see as the baseline connection speed for supporting online delivery of 4K content. Catch up on our interview with Barry Sandrew (pictured here) to learn where the founder of Legend3D thinks the future of 4K is headed. Q Can you tell us a little bit about the company, and who some of your past clients have been? A Legend3D started out as a colorization studio in 2000. We colorized feature films for most of the major studios as well as CBS and HBO. We also colorized about 100 public domain films for our own library. In 2007 I saw digital 3D for the first time and honestly saw the future of entertainment. Almost immediately, I turned all of my R&D toward 2D-to-3D conversion and targeted the summer of 2009 to have a working process, so I could be ready for Avatar. It was clear Avatar was going to be a game changer and I wanted to be ready for it. Immediately after the release of Avatar, Legend3D was awarded the 3D conversion of Alice in Wonderland. We then won the conversion of Shrek, Shrek 2 and Shrek the 3rd. Transformers followed that and the rest is history. We’ve been converting many of the biggest tentpole films that have been released since Avatar. Contentbridge COO, Doug Reinart (pictured here) shares his insight on the 4K trend, along with products he sees might help consumers. Q What 4K products do you think will help make 4K a bit easier to use? A The production pipeline will greatly benefit from broader 4K codec support across non-linear editing software. Another big help will come from higher capacity, faster storage media capable of handling the enormous data volumes coming off of today’s 4K (and higher resolution) cameras. While not a product per se, the Academy Color Encoding System (ACES), which attempts to preserve as much information as possible during a production while removing dependency on specific capture and display formats, will have a major impact on 4K and higher content availability. Lastly, creatives need monitors that can faithfully reproduce the images and sound. For consumers, 4K just needs to work seamlessly. CE manufacturers have to continue to innovate, while removing concerns over technical obsolescence. That will continue to be a problem as long as ‘4K’ TVs and monitors are sold without 10-bit color support, or support for HDR. Catch up with David Colantuoni, (pictured here) senior director of product management for Avid. He shares the company's plans, along with industry trends & his insight on 4K. Q Anything new we can expect to see from Avid this year? A As part of our continual commitment to innovation, we’ll be announcing significant new updates to Media Composer for our subscription and annual support plan customers in the coming weeks. We’ll also be announcing the next phase in bringing the Avid Everywhere vision to life at IBC in September. Miguel Angel Doncel, CEO, SGO, answers a few questions regarding NAB 2017, including new solutions created by SGO, technology to look out for and where you can find them on the showroom floor. A SGO has been working hard on bringing an integrated workflow strategy to the market which addresses specific parts of the post-production process. We are referring to the workflow concept as Multi-Dimensional and will be rolling out solution based applications across the next few months. The first phase of solutions includes Mistika VR and Mistika Insight, both of which we will be launching at NAB in just over a weeks’ time. These solutions all run off Mistika Technology and are essentially parts of Mistika Ultima – our hero suite offering, so industry professionals and post-production facilities can expect unparalleled integration and flexibility. Mistika VR, is an affordable VR focused solution that offers real-time stitching using our optical flow technology. SGO’s ‘Hero Suite’ previously referred to as Mistika has been renamed to become Mistika Ultima, which still remains one of the most advanced DI post-production solutions in the industry. All the developments that are made to Mistika Technology will be invested into Mistika Ultima so existing clients and professionals wanting a turnkey solution will benefit from the evolution of our specific solution-based applications. Also, we’ve re-launched Insight, SGO’s educational programme that provides ‘Ultima’ as a learning tool for students. We’ve made the software more accessible and available on Mac, Windows and Linux.